This section tells you all about East Riding College, our campuses, senior staff and governors, policies and other information. Navigate using the menu on the left. Hello and welcome to our website. 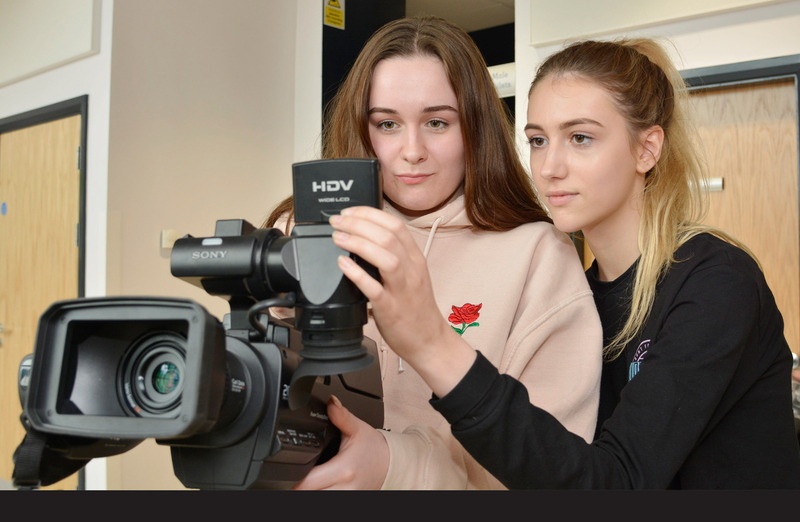 Here, you will find information to help you discover more about East Riding College, the courses we offer and the kind of experience you can expect during your studies here. You can also learn about our campuses, our excellent facilities and read about our accreditations and latest inspection reports. You can search all our courses using the course finder on the home page. The website also signposts you to all the support available to students, such as financial support, guidance and learning support. If you need help deciding what your next step should be, go to the support and advice page to find out how you can contact our guidance officers. Our aim is to make it as easy as possible for you to find your ideal course and to apply - you can apply online using the simple application form. If you can't find what you're looking for, or have any questions, take a look at our frequently asked questions or call the College on 0345 120 0044 and our friendly staff will do their best to help. If you’re looking for an apprenticeship, our live vacancies we are recruiting for on behalf of local employers can be found on the apprenticeship vacancies page. If you want to know more or simply want to have a look around the College campuses, come along to one of our open events. To hear more from Mike, watch his latest interview with our media students. East Riding College will continue to be a leader in the economic success and social development of the region, working in partnership to provide access to the highest quality education and skills training to meet the needs of individuals, employers and the communities we serve. Quality – is at the heart of all we do, we are all accountable for performance, results and behaviours; we strive to be the best that we can be. Ambition – delivering success for all our learners, people, partners and communities through a solutions focused approach to all that we do. Enterprise – always striving to be innovative and responsive, encouraging new ideas to generate and secure developments, income and efficiencies in our operations. Resilience – embracing change constructively, being determined to succeed in all that we do. Respectful – to each other, being inclusive, advancing equality of opportunities and actively promoting diversity. Caring – actively safeguarding young people and vulnerable adults, providing a safe, inclusive, considerate, welcoming learning and working environment for all of the college community. Open, Honest and Transparent – in our behaviours, communications and clarity of purpose. Sustainability - ensuring that everything we do has a positive impact on others and where possible the environment, with a mind to our learning legacy, community resource and social responsibility.